Excitement was in the air for 16 grades 10 and 11, Basic French and French Immersion students, who found themselves at the James Richardson International Airport, on February 4, 2012. Maybe there was a touch of panic, also. One year ago, these brave souls made and important choice: they chose to make French a part of their lives, and that nothing was going to stop them from achieving that goal. The Manitoba-Québec Six-Month Student Exchange Program, which is the result of strong collaboration between Québec and English Canada, encourages cross-cultural exchange and official languages bilingualism, through reciprocal three-month homestay educational exchanges. Although it had only been a month since participants had said goodbye to their Québecois twins in Manitoba, students were very excited when they finally arrived in Québec and were greeted by their new friends and new families. Within minutes, social calendars where filling up, with the Carnival du Québec being on the top of several lists. After an emotional and exhausting couple of days, students made their way to school. There, they were welcomed by staff and students alike. After being given a tour, students sat down with a guidance counselor and worked out a class schedule that made everyone happy. Students also took this opportunity to learn more about school athletics, music and arts programs. Participating in this type of cultural exchange does not force participants to leave their passions at home; it gives them the opportunity to practice them in a different environment. And, just maybe, to discover something they didn’t know they were passionate about. Within days of their arrival in Québec, students were visited by a liaison from Manitoba. The purpose of this visit was to make sure that they had settled in well, to confirm class schedules, and to answer any questions or concerns the participants may have had. Although they described feelings of emotional fatigue, participants couldn’t have been happier with their decision to participate. The level of French proficiency students demonstrated prior to their departure varied significantly. It is interesting to note that out of 16 participants, 12 were Basic French students. 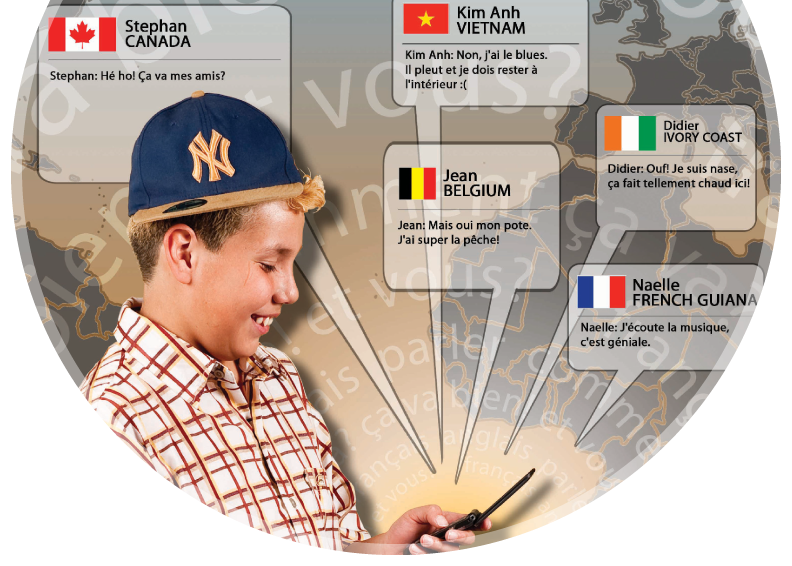 Within that group, several were in the very beginning stages of their journey towards bilingualism. Without question, the students who spent a few hours a week preparing, in the months preceding their time in Québec, are the ones who will benefit the most from this opportunity. However, the fearlessness demonstrated by all participants is inspiring. These young people have made a choice, and they have begun an exciting journey that will forever change their lives. And after completing a program like the Manitoba-Québec Six-Month Student Exchange Program, participants may find themselves questioning whether or not there really is anything that they can’t achieve, once they have dedicated minds, their hearts, and their souls.